By now, you’ve probably figured out that I’m a big fan of Linkwood. it’s a very versatile malt that can handle all sorts of cask types and ages really well. A few years ago, Gordon and Macphail put out a 20 year old Linkwood finished in a cask that previously held Côte Rôtie wine from the Rhône region of France. Intriguing to say the least. 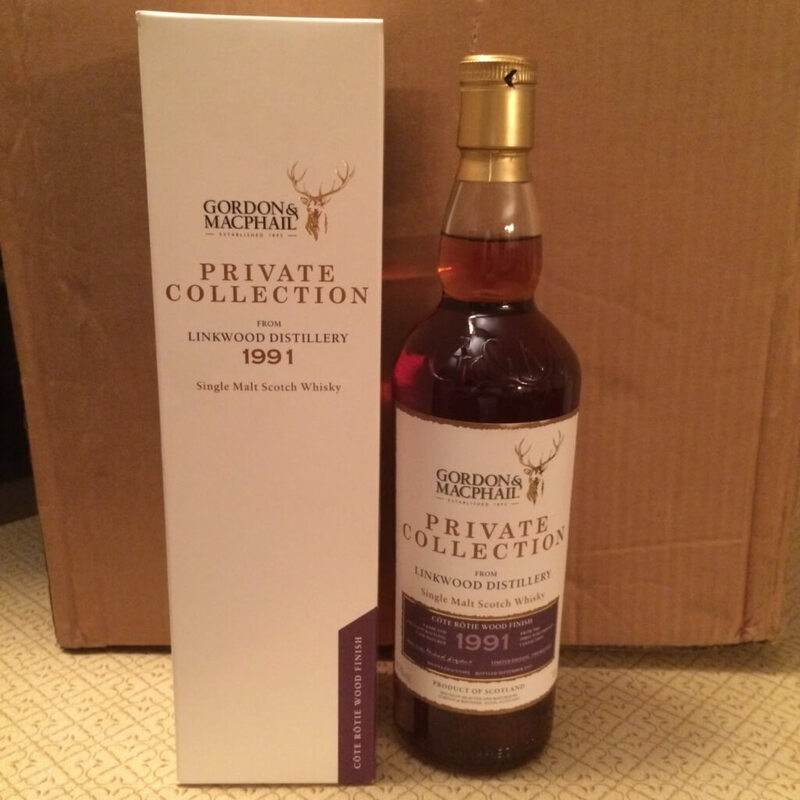 This whisky entered the cask in 1991 and was bottled in 2011 at 20 years old and 45% ABV. As you’ll see, this whisky needed a ton of time to shine through but it was very much worth the journey. Nose Earthy, vegetal, full bodied, stewed fruits, creme brulée, fresher with water, hint of peaches, slight peat, red wine, meaty. With time, hint of strawberries. Taste Wet cave, old cigar box, caramel, winey, vanilla, with water and time, honeycomb, a bit sour, oranges, a lighter fruitiness. With lots of time, the dark dungeon notes move way in the background. Finish Smoke, mushroomy earthiness, gentle lingering sweetness. With time and water, some softer vanilla, cherry, and oak notes. The smoke remains with time but a brighter sweetness is here now. Overall Thoughts A very strange bottle indeed, but I like it. An initially dark whisky that come out into the sunshine with water and time.